The government is employing 10,000 more teachers in preparedness for the expected increase in the number of pupils as it rolls out free secondary education. While announcing ongoing negotiations with the Teachers Service Commission on the employment process, education cabinet secretary Dr Fred Matiang'i took the chance to defend the massive Sh23.6 billion supplementary budget allocated to his ministry. He said this budget would help the Jubilee government to actualize the pledges it had made during the campaign period. 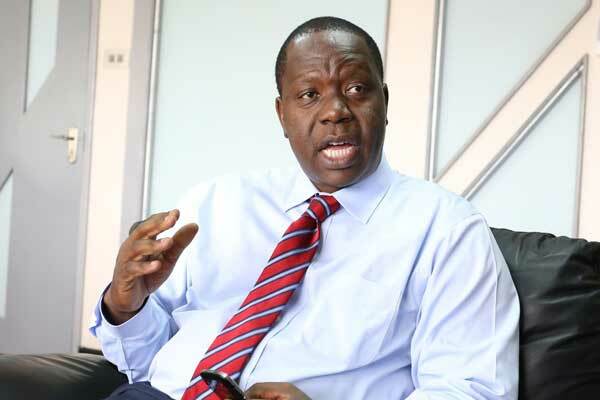 Matiang'i was speaking when he appeared before a special budget scrutiny committee which he urged to approve the ministry's budget which he said would enable him to double student funding, carry out infrastructure development in schools and roll out the free sanitary towels program. Teachers for a long time have been left out in the cold with no employment as they depend on an annual recruitment drive by TSC which is always marred by corruption, tribalism and nepotism cases.